Tread lightly into ancient, forbidden realms. Wander into the futures of apocalyptic worlds. Know what it feels like to face the darkness alone. 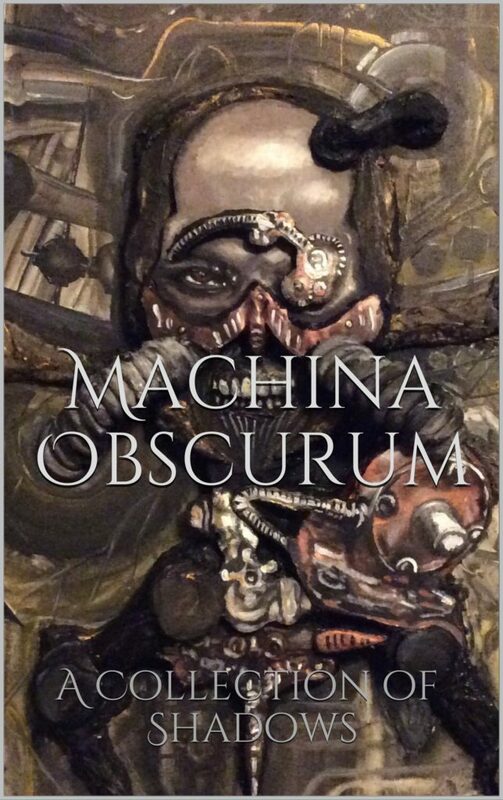 Machina Obscurum contains twenty-two short tales by nine masters of fiction. Within these pages lie stories of men and monsters, of lonely souls and far-distant places. No matter what whets your appetite: sci-fi, horror, fantasy, or hard, dark realistic fiction, A Collection of Shadows has it all. Contains stories by J Edward Neill, John McGuire, Chad Shonk, River Fairchild, Jennifer Clayton, Phil Elmore, Robert Jeffrey II, F Charles Murdock, & Roy Dodd. Tagged Anthologies, book collection, F Charles Murdock, J Edward Neill, New Cover Art, Phil Elmore, Robert Jeffrey, Roy Dodd, Sci fi collections, Short Stories, Skull robot.